Meet The Staff | Porterville, CA | Steven Lewis, D.D.S. Sherrece is our treatment coordinator and that friendly face behind the desk welcoming everyone to the office. She joined our team in 2015 is extremely dedicated to taking the best care of our patients from the first contact by phone. Sherrece cares about our patients and it shows through her ability to develop and maintain professional yet friendly relationships. Born and raised in Porterville Ca., she attended and graduated from Granite Hills High School. After graduating she worked at Savemart Grocery store and pharmacy before beginning her career in the dental field working for one of our local, now retired, orthodontists Dr. Albert Berra. Her greatest pride in life is his her family, husband John and sons Lukas and Nathan, who keep them busy with sports, homework and fun! Josie is the newest addition to our office and works side by side with Sherrece, assuring our patients exceptional, friendly, and caring customer service. She was raised in Lindsay, CA and attended Lindsay High School. After graduating, she attended San Joaquin Valley college and became a Registered Dental Assistant. 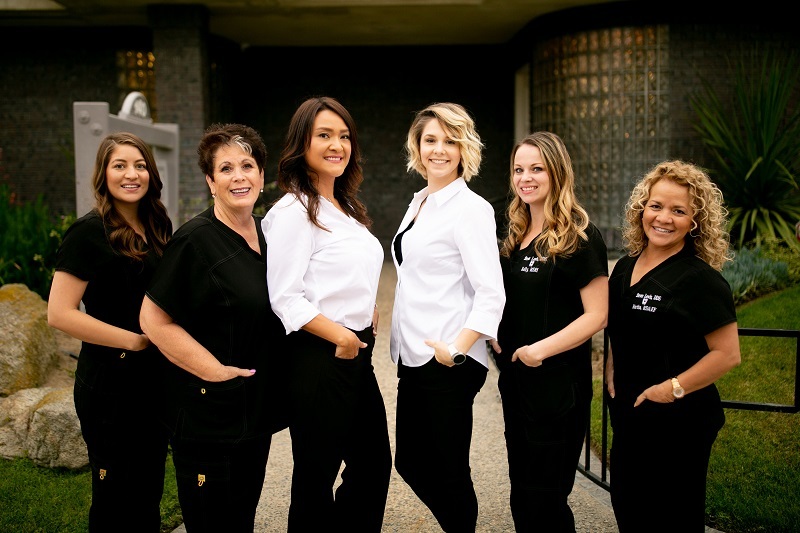 She started her dental career with Dr. Frank Baughman in Lindsay California, where she worked chairside as his assistant for 8 years, followed by 12 years as his office manager. When Dr. Baughman retired in 2017, she planned to retire as well, luckily for us she decided to go back to work and we hired her in 2017. Many of Dr. Baughman's patients, after his retirement were excited to know that Josie had gone back to work and followed her to our practice. Josie has two children David, 25 and Jalene, 16. Most of her spare time is spent cheering on her daughter Jalene, who plays varsity softball and travelsoftball year round. 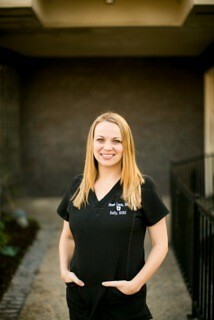 Kelly is one of the newest additions to Dr. Lewis’ Dental Team. She was born and raised in Porterville and enjoys the opportunity to serve her community. 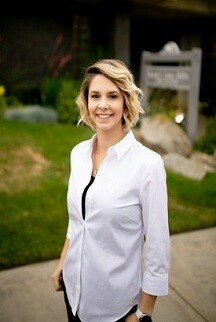 Kelly graduated from San Joaquin Valley College with a Dental Hygiene degree in September of 2010. She is known for being gentle, yet very thorough and prides herself in giving excellent care to all of her patients. Kelly currently resides in Visalia with her husband and 2 small children. In her spare time she loves spending time with family and looks forward to outdoors adventures! Sandy was born and raised in Porterville California and is a graduate of Granite Hills High School. After graduating, she attended Porterville College where she received her AA degree before transferring to and graduating from Fresno City College’s Dental Hygiene program. 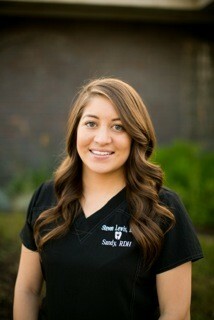 Growing up, Sandy became very familiar with dentistry since her mother was a dental assistant for many years. She loved the field of dentistry from an early age and wanted to be a hygienist when she grew up! She has been an excellent addition to our team and is loved by her patients. Sandy is married to Ivan Yanez and they have a young son named Ivan as well and they are currently expecting their second child together. In her spare time, Sandy loves hanging out with family and playing sports! Martha has been Dr. Lewis’ Assistant since 1999. Over the years she has developed an outstanding sense of precision in assisting Dr. Lewis and her beautiful, caring personality puts patients at ease. Our bi-lingual patients also communicate through Martha where language barriers exist. 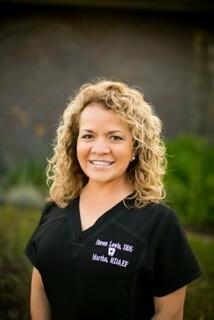 Martha was born and raised in Mexico, where she began her education in the dental field. 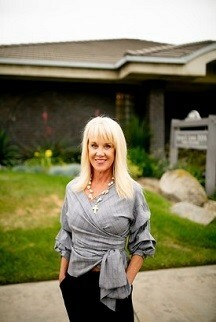 In 1993, she graduated from San Joaquin Valley College, with honors, receiving her Registered Dental Assistant License. To further her education, she attended UCLA’s continuing education program and obtained her Extended Functions License, becoming the first Spanish speaking RDAEF in this region. This of course enhanced Martha’s assisting abilities making her a very valuable asset to the office and Dr. Lewis. Martha married the love of her life in 2014 and is blessed with a beautiful blended family; her two kids Kelly and Justin, and her husband David’s two sons David and Zachary. In addition, Martha and David welcomed their first grandchild to the family this year! Martha enjoys her time at home but loves to travel and discover new adventures with her husband that she calls, “My David”. 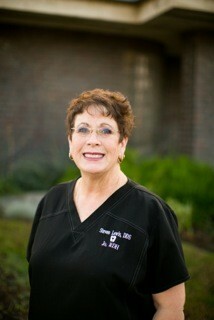 Sandy has been a part of Dr. Lewis’ practice since they moved to Porterville in 1988. She has worked as Steve’s dental assistant, receptionist, and book- keeper and is able to help out wherever needed. Originally from Santa Monica, she attended Pacific Union College where she met and feel in love with Steve. The couple began a long distant relationship when she transferred to U.S.C. Marshall School of Business. Several years later, they were married and moved to San Francisco where Sandy worked as a Stock Broker for the firm Bateman, Eichler, Hill and Richards, while Steve attended dental school at the University of the Pacific. Since then, Sandy has worked with a flexible schedule allowing her to spend time raising their two children, Shelby and Jack. They recently celebrated their 30th anniversary and enjoy working together.